This year, we will be reaching out to help HOPE Dog Rescue - A passionate group that help animals who are abused, neglected and abandoned. 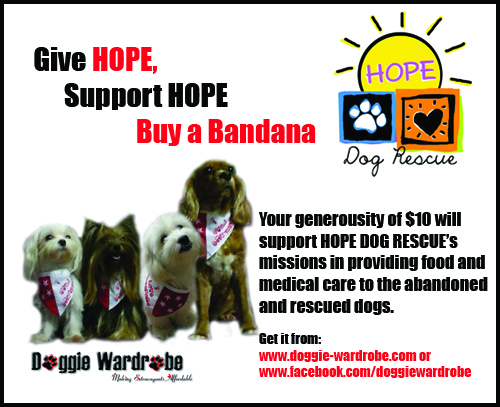 Each bandana will cost $10 and all of the $10 will donated to the HOPE. 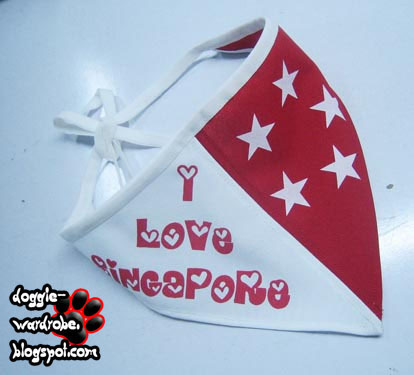 (We encourage payment by bank transfer to avoid paypal charges) We will also pay for your normal mailing postage as part of our contributions in addition to the bandana! Your contribution, however small, will definitely make a difference to our Singapore Homeless dogs!